Learning does not stop when we graduate college or finish a higher degree. It doesnât stop even after one becomes a teacher. As a teacher, you will have to keep yourself updated of all the changes and new things being introduced in your field. Another challenge that teachers face is that they have to adapt to the new methods of teaching that are being introduced. One easy way of learning and helping the students to learn is online education. As more and more schools are trying to include it as a part of their curriculum, it is necessary for the teachers to find a resource which gives them the lessons handy whenever they need. Teachers must be very careful when they choose the resources from which their students would learn. A resource which doesnât have all the necessary content for the students will be ineffective. Teachers should also take care that the resources are not too difficult for the students to understand. It is a widely known fact that the level and standard of skills and knowledge of the students depend on the source of their education. It is the responsibility of the teachers and the school to choose the right resource from which the teachers can learn from and also guide their students to. 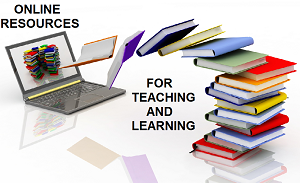 Another criteria to choose the best online education resource is the flexibility of the lessons. You must be able to flexibly use the content according to your lesson plans and syllabus. A good online education resource is always flexible. Below are three online education resources where you can brush up your knowledge and also consider the content for your classes. PBS learning media brings to you a whole new world of education materials in different areas. You get access to content on different subjects on PBS Learning Media. Plus, you can find resources which teach the concepts to students in a creative way they can understand. You can find materials which would be useful for your learning, too. Also, you will be able to connect with other teachers online which will give you a lot of information on how other teachers are handling their tasks. It is also a good platform for knowledge sharing for teachers. The students also have a lot of content they can benefit from. You can create class accounts using which the whole class can have a record of what they have learned. Also, the content is categorized based on the grade levels, so that you would find the right content for your class easily. With so many advantages, PBS Learning Media is definitely a go-to place for all types of online education. Discovery Education is one of the best education resources. You can find lessons explained to the minute detail and so you will be having a good time teaching them to your class. There are a lot of lessons on how to apply science to the day-to-day life. The lesson plans are clear and you can also customize them based on the way you prefer to teach your students. Another reason why Discovery Education stands out is that the content is updated regularly and so you always get access to fresh content. There are also a lot of additional resources for things the students will have to know about and those that do not come under the syllabus. Explore Discovery Education to get to learn a lot of things which the textbooks do not teach. Also you can make it interesting for the students to learn the subject using the creative ways explained in the lesson plans.